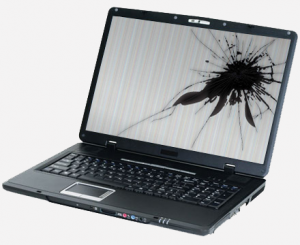 Is your laptop screen cracked or badly scratched from a fall? Has the back lighting completely stopped working? Is your screen plagued with vertical lines or dead pixels? These types of issues can range from minor annoyance to major problem, and can even be serious enough to warrant the purchase of a new computer. But why spend up to thousands of dollars on a new laptop when you probably won’t even have to spend a fortune to get the screen fixed or replaced? Hiring a reputable computer repair technician can help you save money and your laptop. That’s where Computer City Repairs comes in. At Computer City Repairs, our expert computer repair technicians specialize in laptop LCD screen repairs and replacement for PC and Macs at affordable, competitive prices. Whether you have an Apple, Toshiba or HP laptop, our computer experts can diagnose the problem and fix it. Often times, the solution to your LCD problems is a simple change or repair of the laptop screen—not an entirely new laptop. But when you get your laptop back from Computer City Repairs, we will ensure that it looks as if you did buy a new one. In addition to laptop computers, our expert technicians can also repair computer monitors, tablet laptop and notebook screens, and even smartphones. 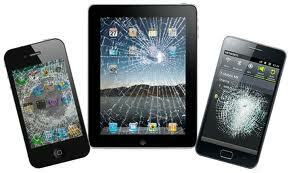 That’s right—we can repair or replace problematic iPad, iPhone or Samsung cell phone screens. No more walking around with a cracked, broken screen waiting to be eligible for an upgrade from your cell phone service provider. If you’re having screen issues, come visit Computer City Repairs, the best laptop, tablet computer and smartphone screen repair place in Los Angeles. Serving the West Los Angeles, Westwood, Beverly Hills, Santa Monica and Pacific Palisades for over a decade, we have the necessary experience to help you with all of your computer needs. Give us a call at 310.730.5227, or stop by our location at 1433 Westwood Blvd., Suite 204 in Los Angeles. We are open Monday thru Saturday, and by appointment on Sunday.